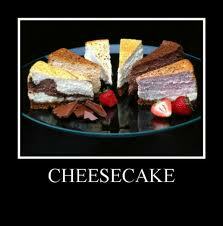 Cheesecake Competition Rules Coming Soon! Hey Participants, Judges, and Cheesecake Lovers I’ll be posting the Cheesecake rules soon because this August 21, the Honolulu Grub Club will have its first Cheesecake Competition among its members. Check back here to read the rules for participating in the contest. The rules shall also be e-mailed directly to participants and judges. So start thinking what kind of baking masterpiece you are going to create! By the way it’s still not too late to join the competition. E-mail me if you’d like to participate. Look for the rules on Monday, August 9th! This entry was posted in Uncategorized and tagged cheesecake, club, competition, grub, honolulu, rules. Bookmark the permalink.